There’s certainly no shortage of choices when it comes to countertop materials, and the staggering array of options can become a little overwhelming. Each colour and texture option brings a distinct new character to your bathroom, so you want to make sure you choose the right one for your setting. Here are seven great materials to help you zero in on the choice that’s perfect for you. Tile is a classic choice, and for good reason! The colours available can be simply stunning. This tile countertop comes from Franco Pecchioli Ceramica Firenze. The company has been making beautiful custom tiles in Florence, Italy for more than 100 years, with both slabs and mosaic patterns available. Onyx comes in several beautiful colours. Above is an example of a lovey straw-coloured onyx – a great balance of bright freshness and comforting warmth. Since this stone is slightly translucent, you can experiment with different lighting placements to create some lovely glowing effects. The layers and colour variations are all naturally occurring, so each piece is one-of-a-kind. Keep in mind that it is a soft variety of stone, so it shouldn’t be placed in areas that will bear lots of wear and tear. Caesarstone designs and manufactures man made countertop materials that mimic the look of natural stone, but are much more affordable and can ensure a more uniform colour and structure. 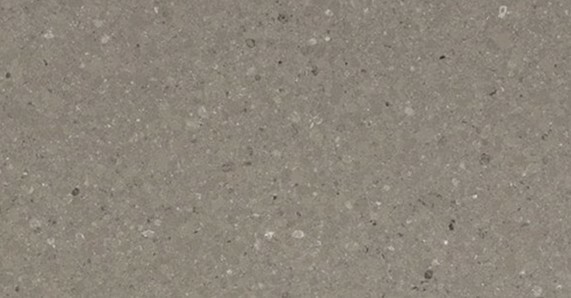 Their countertops consist of up to 93% quartz, which makes them very durable, non-porous, and stain resistant. On top of all that, their dimensions and pigments are readily customizable to meet your specific needs. These premium designs from Caesarstone combine the reliability, durability, and customizability of their classic materials, with bold designs and textures. These are great for vertical surfaces like backsplashes. 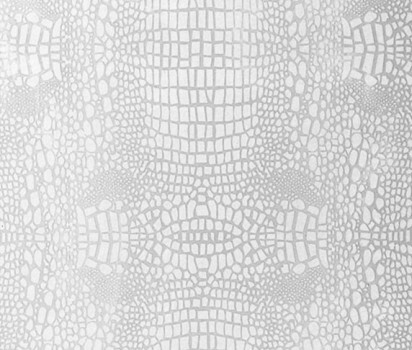 Here you can see the crocodile pattern in white. Concrete is not just for sidewalks and highway overpasses! This humble material can actually be moulded into amazing shapes. 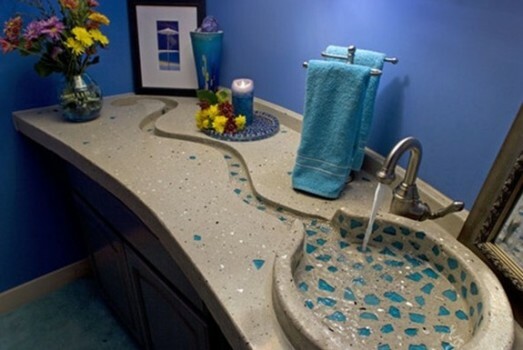 In this example, the countertop and sink are formed together with an elegantly twisting stream leading to the drain. This is an extraordinarily versatile material because it can be customized in nearly countless ways. 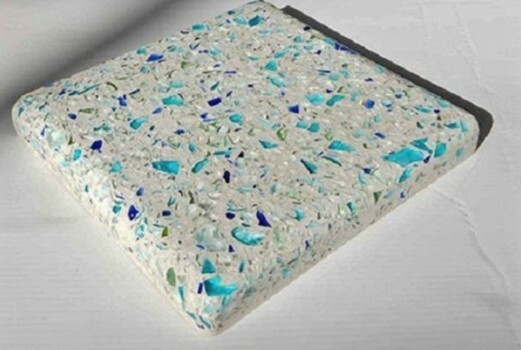 It is made from coloured pieces of recycled glass embedded in concrete. 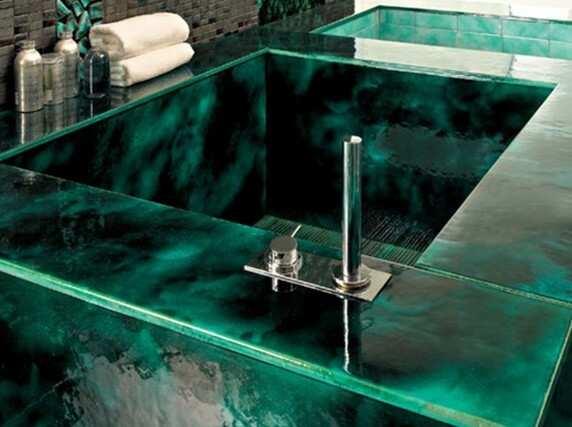 The concrete slab can be formed into any shape you can think of, and you can choose from several glass colours to create a truly unique countertop. 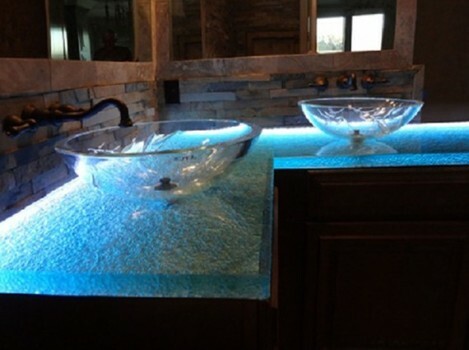 For something a little more luminous than concrete or tile, check out this translucent glass with a blue tint. Note the ethereal effect of the light coming through the glass from behind. Glass doesn’t just look good, it performs well too! Cleaning is a breeze and the thickness of the surfaces make for quite durable countertops.